Mr. Kote is founder of Professional Fiduciary Services (PFS), a select group of individuals ready to serve in fiduciary capacities including trustee, executor, conservator, or agent for the Advance Health Care Directive, Durable or General Power of Attorney for Asset and Property Management. The vision of PFS is to offer ethical, qualified and personable independent fiduciaries who work together to provide quality service for their clients. Mr. Kote’s clients range in age of seven to ninety two years old. Mr. Kote has been a professional fiduciary since 1996. Prior to this, he was a professional in the gift-planning arena and worked for a variety of non-profits. He has been involved in raising over $50 million for various charities. He started three planned giving programs for the American Heart Association, California State University, Long Beach; and the Orange County Chapter of the American Red Cross. 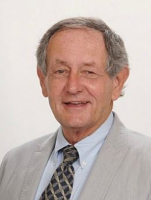 Mr. Kote’s financial planning experience comes from his work with the International Association for Financial Planning (known today as the Financial Planning Association) where he became the director of the Registry of Financial Planning Practitioners, a program designed to identify qualified practitioners of financial planning in the United States. Those admitted to the program had their financial plans reviewed, needed a minimum of 5 clients whom they assisted through the financial planning process, had to complete a 15 page application and pass a 4 hour examination. Mr. Kote was promoted to Membership Director of 24,000 members and was Director for the Foundation on Financial Planning. Mr. Kote also served as a trust officer with First Atlanta Bank and Wachovia Bank in Atlanta, Georgia for two years. Currently Bob serves as a Principal at The Bridge Consulting Partners, a small group of highly effective and successful professionals committed to helping organizations build capacity in leadership and fund-raising. Specific areas of emphasis include overall fund-raising capacity building, strategic visioning, Board development, fund-raising/program assessment, communication, major gifts, and more. Prior he served Father Flanagan’s Boys Home for over 11 years as the National Director of Major gifts and Planned Giving. 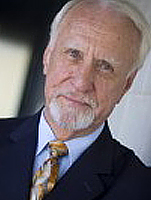 Bob Gregg has a Master’s degree in Organizational Leadership from Chapman University. In that process he became certified as a workshop facilitator in the Interaction Styles process for IntegralType, a leading research program in Temperament and type. 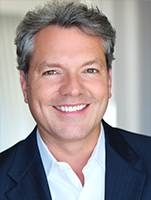 Jim is currently president of MedResults Network: a $6 million privately held buying network for aesthetic physicians. 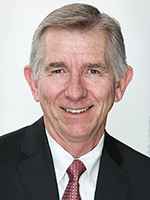 Jim Parrott is a healthcare professional with a successful history of sales and operations leadership. He has expertise in physician recruitment, start-ups, multi-site management, managed care, and business development as well as strong general management, strategic planning and interpersonal skills. 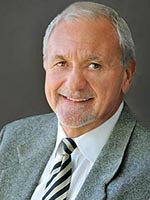 Jim founded JP Associates healthcare consulting company. Their clients included physicians, major medical centers and managed care entities. A few of his major clients included Cedars-Sinai Med Center, Olsten, (now Gentiva), Baylor University Med Center, American CareSource, (a start-up PPO/TPA), Discreet Medical Solutions, (a start-up e-based ostomy supplies company), Tower Infectious Diseases, (11-physician ID practice) and Herman Hospital. Mark Powell is a Partner in the Tax, Trusts and Estates practice group at the international law firm of Dorsey & Whitney LLP (www.dorsey.com). He is Certified as a Specialist in Estate Planning, Trust and Probate Law by the California State Bar, and his technical skills were recognized by his appointment as a Fellow of the American College of Trust and Estate Counsel (www.actec.org). During his tenure as an adjunct professor at Chapman University’s School of Law, Mark developed a passion for talking about complicated issues in plain language. Now, he helps clients and their families develop and administer highly personalized, tax-efficient estate plans. Mark has extensive experience in charitable planning. He has written extensively in a variety of media and has been named by Worth Magazine as one of the Top 100 attorneys in the estate planning field. Mark has spent the last nine years as a senior financial advisor with the wealth management firm, RS Crum Inc. based out of Newport Beach. He provides financial planning solutions to high net worth and high income individuals. Prior to joining RS Crum, Mark spent six years as a financial consultant in the Private Client Group at Merrill Lynch. Mark holds the designation of Certified Financial Planner®. He is a graduate of the University of Arizona with a Bachelor of Science degree in business administration. 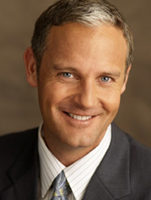 Mark is a past President of the Board of Directors of the Financial Planning Association (FPA) in Orange County. He is also a member of the National Association of Personal Financial Advisors (NAPFA). Mark regularly volunteers his time with a number of non-profits, including Junior Achievement, Working Wardrobes, and Advisors in Philanthropy, among others. A UCLA graduate with 30+ years in financial planning, Laura received her CFP in 1984. She is President of The Tarbox Group, Inc., a fee-only wealth advisory firm she founded in 1985. The Tarbox Group is located in Newport Beach, CA and offers comprehensive wealth and investment management services to a select group of families with substantial assets. Laura has served as a Director on the National Board of the Institute of Certified Financial Planners, and is a past President of the Orange County Society of the ICFP. She has written curriculum and taught investment and insurance classes for the California CPA Education Foundation, and has been part of the adjunct faculty of the College for Financial Planning, USC and California Lutheran University. Laura taught financial planning courses in the certificate program at UC Irvine for 20 years, where she was the Program Director and founder of the successful Financial Planning Internship program. In 1997 Laura was chosen from over 800 UCI Extension instructors to receive the Distinguished Instructor Award. From 1998-1999 Laura served on the Charles Schwab Institutional Advisory Board, and from 1998-2000, she served on the Certified Financial Planner Board of Standards’ Board of Examiners. Formerly host of the weekly radio talk show “Money with Laura Tarbox” on K-ORG 1190 AM, Laura is frequently featured in the local and national media as an expert on financial planning and investments, and has been retained as an expert witness in insurance and investment cases. 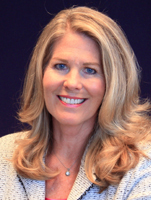 Laura is a California Licensed Professional Fiduciary and a private trustee on several trusts. Mark is a Wealth Advisor (Series 65) and has an MBA from the University of California, Irvine and a Bachelor’s in Nuclear Pharmacy from the University of New Mexico. He was a member of the Young Presidents’ Organization for over 20 years and is currently a member of the World Presidents’ Organization and the Chief Executives Organization. Prior to founding Index Fund Advisors in 1999, Mark was President, CEO and co-Founder of Syncor International (previously a public company – SCOR) from 1975 to 1985. In Jan. 2003, Cardinal Health acquired Syncor for approximately $850 million. As a division of Cardinal Health, it is the world’s leading provider of nuclear pharmacy services.